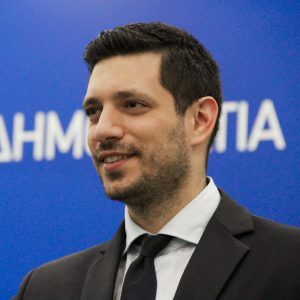 Graduate of Deree’s MA in Communication degree (2012-13), Konstantinos Kyranakis is the deputy spokesman and head of digital strategy for Nea Demokratia, the Greek opposition party. He was born in Luxembourg and raised in Athens and Brussels. 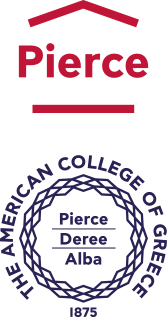 He is today 30 years old, has graduated the European School of Brussels in 2005, holds a Bachelor degree in Law from the University of Athens and a MA in Strategic Communication & PR from Deree – The American College of Greece. In 2013, Konstantinos was elected president of the Youth of the European People’s Party, Europe’s largest political youth organization with over 1 million members from 40 countries. He was re-elected president in 2015. He was a candidate for the European Parliament at the age of 26, collecting more than 35.000 votes in the European Elections of 2014. Konstantinos has also founded the Transatlantic Youth Summit in 2013, is a campaign trainer for the International Republican Institute, and co-founded the non-partisan initiative BrainGain in 2016, an initiative aiming at reversing brain drain for Greece.